Spain gives to its residents and visitors a holiday atmosphere, combined with an excellent climate on the background of a beautiful nature and architecture that holds the spirit of the Middle Ages. Property in the country is not expensive - even elite variants can be found on very attractive prices. The population is concentrated mainly in the cities and villages on the coast. An interesting option for investment in Spain - properties in the Balearic Islands. 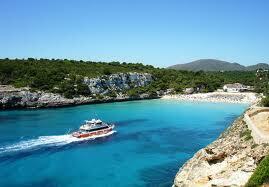 This is a small island group in the western Mediterranean the capital of which is Palma de Mallorca. It is considered prestigious to have a house in the Balearic Islands, as the region is popular as a major tourist center. This property can always be profitable to rent out or to resell. The climate on the islands is comfortable with cloudless summers and mild winters. The hot climate softens the sea breeze and in the winter the water temperature does not fall below 16 degrees. The beaches on the islands - one of the best and cleanest in Europe – their number is 76, as 22 of them are awarded with "Blue Flag" for environmental purity. The season there lasts from May to October. The main part of the coast is sandy, and the services on the beaches tend to be free. The majority of magnificent natural parks and nature reserves on the islands are protected by UNESCO. The island of Menorca, with its archaeological treasures - just like an open air museum. Magnificent museums and ancient monasteries on the other islands are also worth. A lot of world resorts with the highest level of service are located on some of the Balearic Islands. The market of the largest island Mallorca is popular among show business stars and wealthy people. The island of Ibiza has the status of a world center of club music. The most demanded properties on the market are houses and villas, as the apartments are not particularly popular in Spain. This is not the most affordable real estate by the international standards, but people are snapping it actively.